Earn $11.80 in VIP credit (1180 points)What's This? 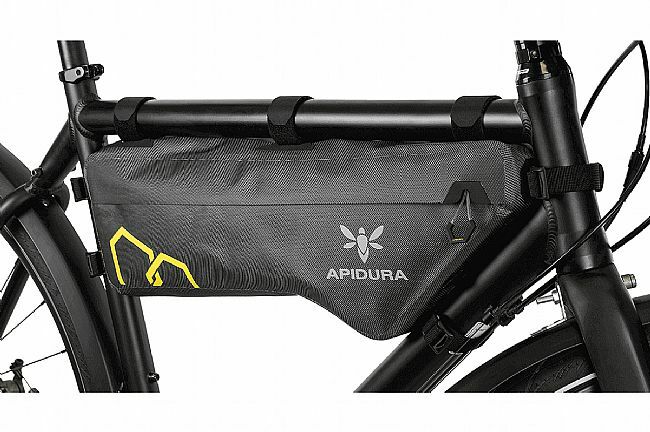 From bike-packing to daily commuting, the Expedition Compact Frame Pack from Apidura offers more comfortable, controlled, and efficient transportation of heavier loads by lowering the center of gravity. 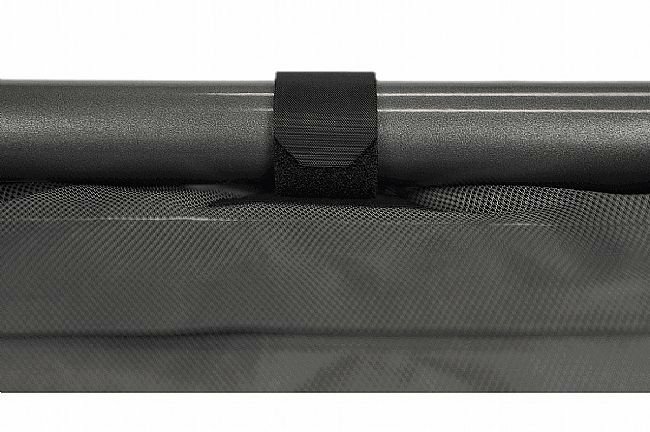 The Expedition features waterproof and abrasion-resistant construction, utilizing materials that are optimized for durability and lightness. 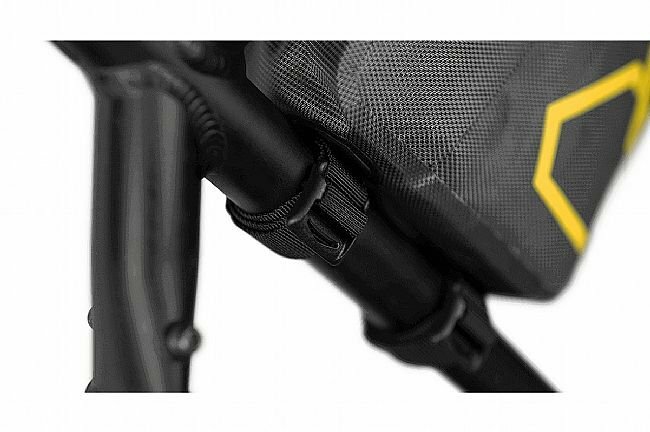 The carbon-friendly, adjustable velcro straps; protected battery / hydration hose port; one-finger zip pullers; and reflective graphics are just a few of the features that make this frame bag super easy to use and versatile. 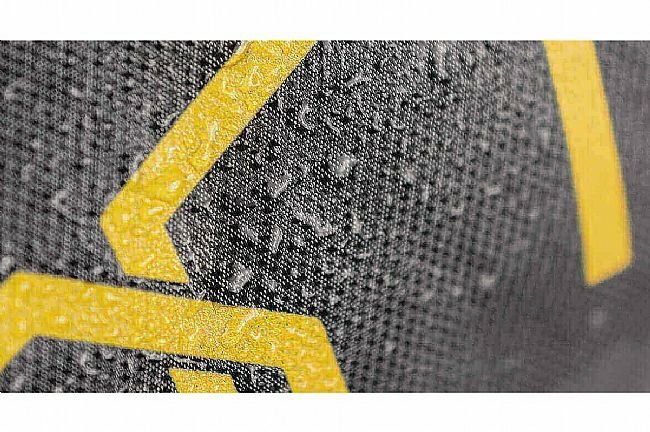 Abrasion-resistant, waterproof construction + welded seams. 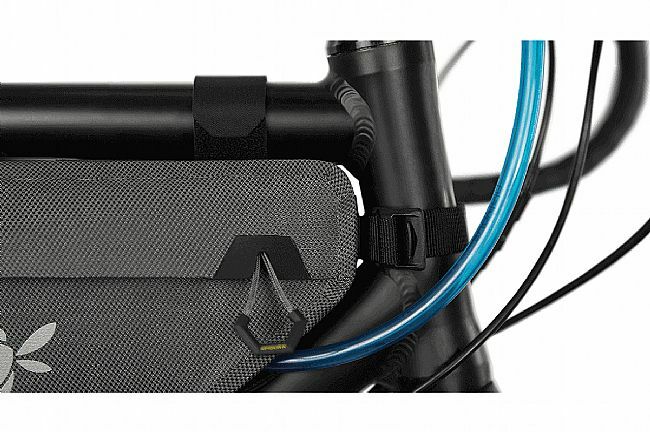 Protected battery / hydration hose port. 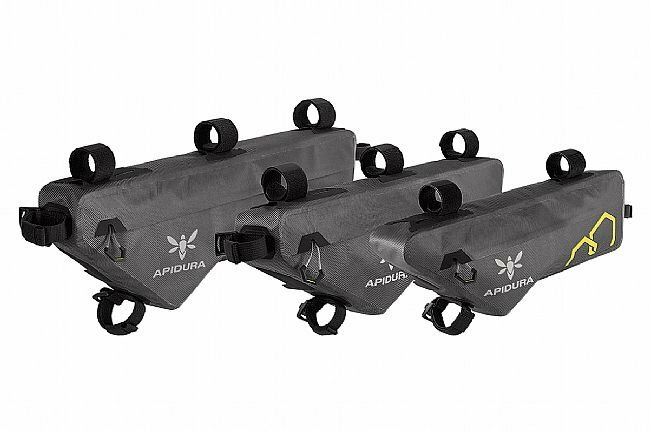 Hypalon-reinforced velcro straps and base. Weight: 145g (Sm); 170g (Md); 200g (Lg). 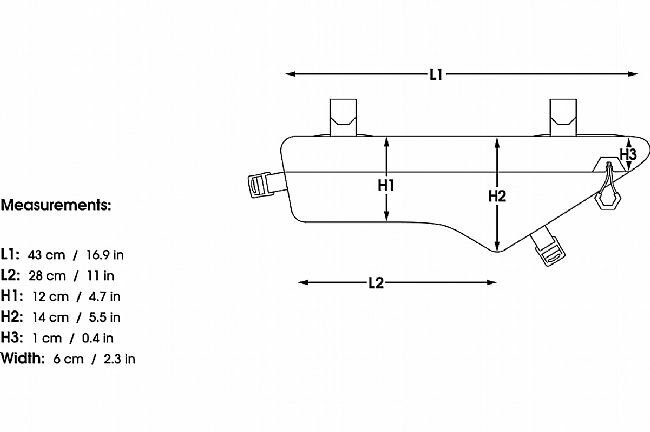 Top length: 43cm (Sm); 46cm (Md); 51cm (Lg). Bottom length: 28cm (Sm); 28cm (Md); 33cm (Lg). Height (narrowest): 12cm (Sm); 12cm (Md); 15cm (Lg). Height (widest): 14cm (Sm); 15cm (Md); 17cm (Lg). 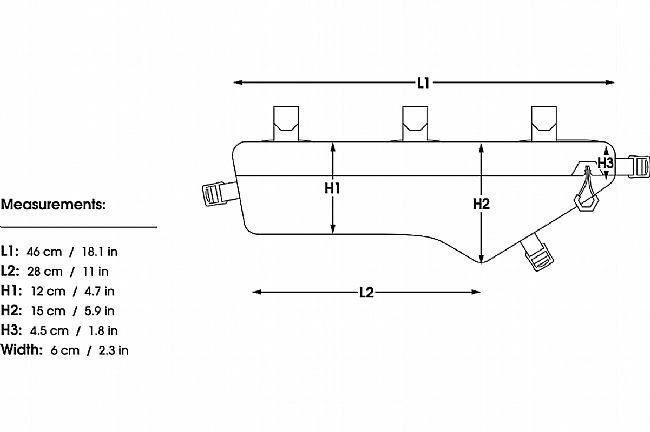 Height (top 3rd): 1cm (Sm); 4.5cm (Md); 5.5cm (Lg).